I have a 2013 Chaparral 246 SSI purchased August last year, since I purchased it the depth finder has never work, my dealer spoke to chaparral and concluded that the transducer must be faulty. They have supplied me with a new one free of charge, but i am wondering how easy it is to replace this now I have it, and where about it is located? The depthfinder on my boat is linked to the smart craft gauges so it is digital, there is not a dedicated depth finder gauge. Any help or advice would be appriciated! It should be located thru the hull, in the engine compartment. If it was me and I had to replace it. I would install a fish finder. 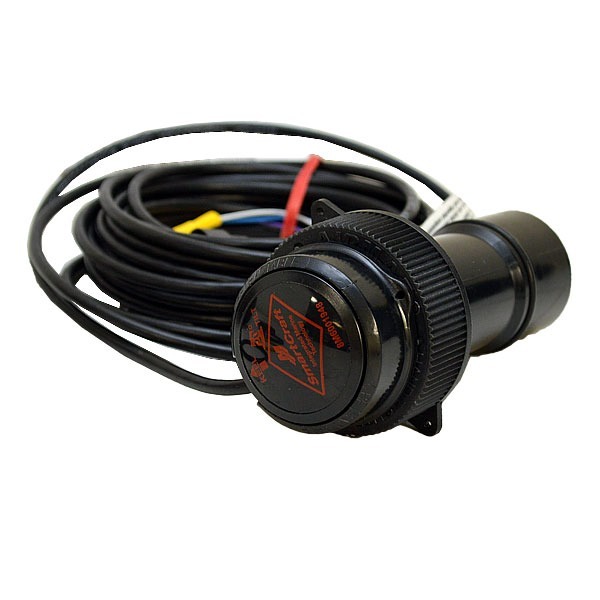 This will give you not only depth and water temp, but a view as to whats under your boat. the factory installed one is most likely just forward of the engine i would guess starboard side protruding from the hull (black plastic) that info is then wired to the smartgauge. i would agree w/ Iggy, get a transducer this one is from Garmin and includes the water temp (8 pin) if you want fishfinder features you will also need a GSD sounder along with this - and of course the chartplotter to see the fish. 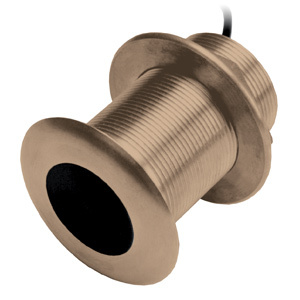 BOAT - "Break out another Thousand"
Don't have to worry about sealing, as o-rings and simply snugging up the transducer into the thru-hull base do the work. FWI, in your owners kit you should see a cap kit. This is if the transducer itself gets broken or needs to be removed for some reason, installing the cap will allow you to use the boat. * ensure that the depth feature has been turned on on the tachometer settings. If this feature is not turned on, the transducer could be working fine, but the tachometer will not know to look for it so to speak. Probably already been done, but I recommend checking this first anyway. * ensure that the transducer cable is connected to the engine data link connector. On MerCruiser's this serves as both the plug for diagnostics and transducer. A tech needs to disconnect the transducer first to plug in laptop, DDT, etc. and then reconnect when they're done. Again on MerCruiser's this will be a 4 wire plug that should have a green tag that reads diagnostics/transducer. Sometimes that connector is located behind the distributor. Again for MerCruiser power. I don't know set up for Volvo.